Minister of Economic Affairs and Communications Meelis Atonen answered the question of Marika Tuus about the price of electricity and the question of Tõnis Lukas about the national stockpiles. Minister Jaan Õunapuu answered the question of Helir-Valdor Seeder about the regional management. Minister of Culture Urmas Paet answered the question of Mark Soosaar about the conservation of the cultural heritage, the question of Toomas Alatalu about the plan of Tallinn and the question of Trivimi Velliste about financial contributions to the possessors of monuments. The Riigikogu passed with 78 votes in favour the Radiation Act (221 SE), initiated by the Government of the Republic. The Act establishes the basic safety requirements to protect people and the environment against the harmful effects of ionizing radiation and the rights, obligations and responsibility upon the use of ionizing radiation. 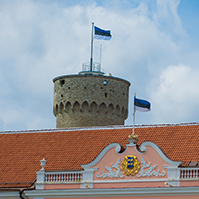 The Riigikogu passed with 79 votes in favour the Heritage Conservation Act Amendment Act (231 SE), initiated by the Government of the Republic. The Act specifies the provision delegating authority included in subsection 29 (2) and the bases and conditions of the grants allocated from the state budget for the maintenance, restoration or for the creation of the conditions of conservation of monuments and specifies the responsibility for the failure to meet the requirements stipulated in the Act. The Riigikogu passed with 75 votes in favour the Packaging Excise Duty Act and State Fees Act Amendment Act (223 SE), initiated by the Government of the Republic. The Act introduces into the valid Packaging Excise Duty Act the provisions regulating the taxation of the packages imported to Estonia from other Member States of the European Union. The Act makes also the amendments to the time limit for filing a report on the recovery of packaging and extends the period of validity of certificates of the recovery of packaging. The Riigikogu passed with 73 votes in favour the Explosive Substances Act (73 SE), initiated by the Government of the Republic. The Act establishes requirements set for explosive substances and pyrotechnic articles used for civilian purposes, and for their handling in order to ensure the safety of people, property and the environment and the security. The Riigikogu passed with 71 votes in favour (5 votes against) the Aviation Act Amendment Act (170 SE), initiated by the Government of the Republic. The Act imposes sanctions for the failure to comply with some new international requirements. Now the Act allows to use the services of persons in private law in exercising technical inspection and the minister was delegated the authority to regulate issues concerning the safe operation of some types of aircraft in certain flight operations. The Riigikogu passed with 52 votes in favour (26 against, 1 abstention) the Maritime Safety Act Amendment Act (204 SE), initiated by the Economic Affairs Committee. The Act establishes lighthouse and navigation dues. Arising from the above, a new chapter was added to the Maritime Safety Act which regulates the lighthouse and navigation dues and the principles of calculation, payment and administration thereof. 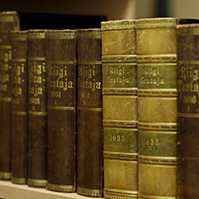 The Riigikogu passed with 73 votes in favour the Product Safety Act (220 SE), initiated by the Government of the Republic. The Act improves the consumer protection and harmonises the level of consumer protection in terms of product safety and ensures the safe use of the products admitted to the market. The Riigikogu passed with 65 votes in favour (3 votes against) The State Participation in Legal Persons in Private Law Act the Year (236 SE), initiated by the Government of the Republic. ). 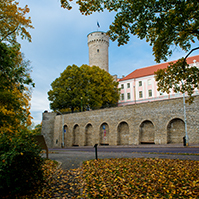 The Act establishes the procedure for participation in public limited companies, private limited companies, foundations or non-profit associations by the Republic of Estonia as stockholders, shareholders, founders or members and stipulates specifications for legal persons in private law with state participation and for their activities. The Riigikogu passed with 74 votes in favour the Competition Act Amendment Act (237 SE), initiated by the Government of the Republic. 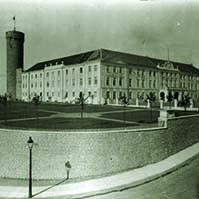 Since the accession to the European Union, the field of state aid will belong to the exclusive competence of the European Union, the regulation of the European Union on state aid will directly apply to Estonia and the supervision over the state aid will be exercised by the European Commission instead of the Ministry of Finance. Therefore, the applications for permission to grant state aid, beginning from the accession, will have to be filed with the European Commission, the reports on state aid will also be submitted to the European Commission. Due to those principal amendments to the supervision over the state aid, the Chapter of the Competition Act on the state aid was amended and the regulation stipulating special conditions for the grant of state aid was repealed. The Riigikogu passed with 81 votes in favour the Act on the Implementation of the Common Agricultural Policy of the European Union (258 SE), initiated by the Government of the Republic. The Act establishes the procedure for implementation of the Common Agricultural Policy of the European Union, the measures for market organisation and the implementing agencies, the bases for the grant of supplemental direct aid as state aid and the bases and extent of exercising the state supervision. The Act on Amendments to the Government of the Republic Act and Other Acts Arising Therefrom, refused to be proclaimed by the President of the Republic, was passed with 53 votes in favour (32 against). The Act prescribes that the President of the Republic, on the proposal of the Prime Minister, may appoint ministers to office, who do not head a ministry and whose tasks are determined by the Prime Minister with his/her order that will be communicated at a sitting of the Government of the Republic. The Act prescribes that the Government of the Republic, on the proposal of the Minister of Regional Affairs, appoints a county governor to office for five years. A public competition is held for filling the position of a county governor. County governors report on their activities to the Minister of Regional Affairs and to the Government of the Republic. The Riigikogu passed with 60 votes in favour (1 abstention) the Act on the Ratification of the European Convention on Social and Medical Assistance and Protocol Thereto (232 SE), initiated by the Government of the Republic. With the Convention the Member States assume the obligation in case of the lack of the means of subsistence to provide social assistance and medical care to the citizens of the states, parties to the Convention, legally staying in their territory, equally to the citizens of their own state. The Riigikogu passed with 62 votes in favour (6 against) The Act on the Accession to the Convention on the Prohibition of the Use, Stockpiling, Production and Transfer of Anti-Personnel Mines and on Their Destruction (238 SE), initiated by the Government of the Republic. The Act prescribes the accession to the Convention prohibiting the use, stockpiling, production and transfer of anti-personnel mines and demanding the destruction thereof. The Isamaaliit Faction moved to suspend the second reading of the Bill. The results of voting: 6 votes in favour, 65 against. The motion was not supported. 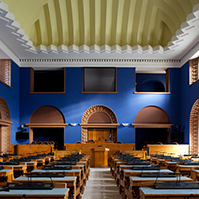 The Gender Equality Bill (38 SE and 227 SE), initiated by the Estonian Centre Party Faction, the Social Democratic Party Faction and the Government of the Republic. 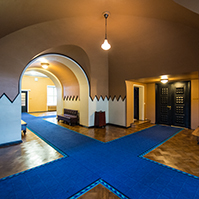 The Bill on Amendments to the Pre-School Child Care Institutions Act, Social Welfare Act, Basic Schools and Upper Secondary Schools Act, Republic of Estonia Child Protection Act, Superannuated Pensions Act and Republic of Estonia Education Act (134 SE), initiated by the Government of the Republic. The Bill on Amendments to the Youth Work Act (254 SE), initiated by the Government of the Republic. The Surplus Stocks Charges Bill (272 SE), initiated by the Government of the Republic. The Bill on Amendments to the Health Insurance Act and the Defence Forces Service Act (230 SE), initiated by the Government of the Republic. The term for submission of motions to amend to the National Defence Committee is 12 April, 10.00. The Packaging Bill (291 SE), initiated by the Government of the Republic. The term for submission of motions to amend to the Environment Committee is 31 March, 12.00. The Deliberate Release of Genetically Modified Organisms into the Environment Bill (292 SE), initiated by the Government of the Republic. The term for submission of motions to amend to the Environment Committee is 31 March, 12.00. The Postal Bill (281 SE), initiated by the Government of the Republic. The term for submission of motions to amend to the Economic Affairs Committee is 31 March, 12.00. The Bill on Amendments to § 9 of the Telecommunications Act (282 SE), initiated by the Government of the Republic. The term for submission of motions to amend to the Economic Affairs Committee is 31 March, 18.00. The Information Society Services Bill (285 SE), initiated by the Government of the Republic. The term for submission of motions to amend to the Economic Affairs Committee is 31 March, 18.00. The Responding to the Memorandum and to the Request for Explanation Bill (251 SE), initiated by the Government of the Republic. The term for submission of motions to amend to the Constitutional Committee is 7 April, 18.00. The Bill on Amendments to the Public Service Act (286 SE), initiated by the Government of the Republic. The term for submission of motions to amend to the Constitutional Committee is 26 March, 16.45. The sitting ended at 18.49.